On arrival in Bangalore, you meet an Indian Holiday representative who facilitates your transfer to your pre-booked hotel. Known as the “IT hub” of India, Bangalore is quite a charming city to visit. Before the IT boom, Bangalore was also referred to as the “city of gardens”. Post lunch, in the afternoon, indulge in sightseeing tour of the city covering the prime attractions. Return for an overnight stay at your hotel in Bangalore. 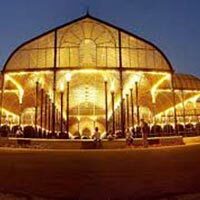 On day 2 of the Bangalore Nagarhole Tour, drive to Mysore that is also known as the “city of palaces”. Stop to visit the Tipu Sultan's capital at Srirangapatna on the way. Check into a hotel on arrival and spend the rest of the day exploring interesting places like the Maharaja’s Palace- also known as the Amba Vilas Palace, the colorful vegetable and flower markets and the Chamundi Hill with its Nandi Temple. Stay overnight in Mysore. As part of the Bangalore Nagarhole Tour on the 3rd day of the tour, after breakfast, drive to the Nagarhole National Park. Home to animals like the tiger, leopard and elephant, Nagarhole, also known as Rajiv Gandhi National Park, also boasts of a rich avian population. On reaching, complete the check-in formalities at your jungle resort. Later, enjoy an elephant or a jeep safari inside the park in the afternoon till the evening. Overnight stay at the jungle resort in Nagarhole. Those who love angling can opt for a visit to the Cauvery Fishing Camp instead of a safari in the wilderness of Nagarhole. The Cauvery Fishing Camp is situated 100 km from Bangalore and 85 km from Mysore. On day 4 of the Bangalore Nagarhole Tour, enjoy more wildlife safaris in the jungle to get closely acquainted with the flora and fauna of Nagarhole. During the safaris, you can spot animal and bird species like tiger, leopard, Indian bison or gaur, sambar , red giant flying squirrel , spotted deer or chital, spotted deer or chital, bamboo pit viper, common wolf snake Malabar grey hornbill, red headed vulture, Indian scimitar babbler etc. Stay overnight in Nagarhole. Drive to Coonoor via Ooty after breakfast on the 5th day of the tour. One of the most beautiful hill stations in South India, Coonoor is a great base for a relaxed vacation to remember. It also boasts of many attractions like lush green tea estates, botanical gardens and the "Dolphin's Nose" peak. Once you reach, check-in at your hotel. Indulge in sightseeing. Stay overnight at a hotel in Coonoor. 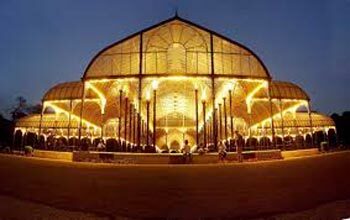 On the final day of the Bangalore Nagarhole Tour, an Indian Holiday representative drives you to the nearest airport / railway station for your onward journey.